Our Houston store is big in size and even bigger on service. We're the only store in the city with GC Pro , helping you install equipment anywhere from a small home studio to a large commercial venue. We have a huge assortment of new, used, clearance and vintage gear to meet your every demand, and don't forget to see our dedicated Platinum room; it's full of high-end instruments guaranteed to impress even the most seasoned professional. Our rental department is ready to help you find the perfect instrument for practice, studio sessions or special occasions. We also feature recording classes and workshops, so stop by or call at 713-952-9070 for more information. Guitar Center Houston provides comprehensive guitar repair services for the Houston area. Our repair technicians are as passionate about your guitars and basses as you are, and we have the experience needed to keep them performing at their best. Whether you need a quick adjustment to make your guitar easier to play, or a complete guitar rebuild, we have the tools and know-how to take care of your instrument. Guitar Center Houston can also help build a maintenance plan that fits you and your guitar or bass needs, including custom setups, restrings and more. We also take care of fret repairs, hardware and pickup installations, upgrades and customizations, bone and graphite services and more. Guitar Center Houston is one of our longest-running stores, having opened its doors back in 1993. Since then, we've become a major part of the area's music community and with good reason. Our friendly, knowledgeable staff is available seven days a week to help you with any of your music-related questions and needs. 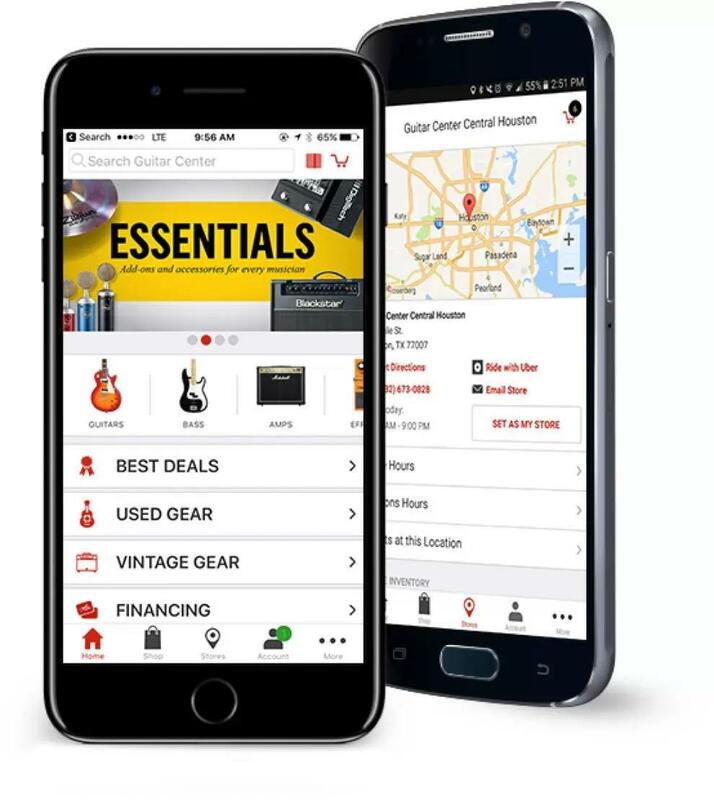 And with our state of the art facility located at 8390 Westheimer Road, off the 1093, we're easy to find as well.First and foremost at GC Houston, we strive to give you the experience that Guitar Center is known for nationwide: big-store selection and prices with small-shop expertise and personality. From sales and repairs to rentals and GC Pro, our staff in every department is well-trained to cater to Houston music-lovers. Our store is open every day of the week, so there's always a right time to visit even if you're on a busy schedule.